It’s not uncommon for 10-15% in overcharges to appear on mobile bills. Are you tired of seeing your phone bill pile up with massive fees and overage charges? Far too often, users have to pay expensive mobile phone bills. Carriers like Verizon, AT&T, T-Mobile, and Sprint can issue multiple bills every month for data overages and unused devices. Fortunately, there is a solution to this problem. Allnet offers a carrier bill reconciliation program that makes the mobile payment process so much easier. With mobile reconciliation, our billing auditors will examine months of bills to ensure that users are being charged properly. As a leading source for mobile managed services, we will work to eliminate all billing errors and other additional charges. Overcharges and other billing errors can cause mobile expenses to skyrocket. On average, mobile expenses are 15% to 25% higher than what they should be. 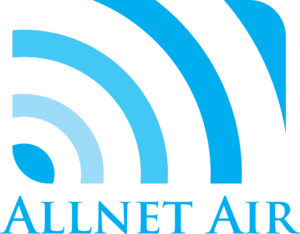 With Allnet, we will examine your bill, remove any excess charges. and consolidate your bills into one single payment. All wireless companies bill for excessive data use and devices with zero use. The newer plans from the major carriers throttle excess data use, making a smartphone dumb. With our bundled solution, we will help you avoid pesky overcharges and eliminate throttling altogether. It can be quite the hassle to pay a costly mobile bill. That’s why our certified specialists have adopted efficient payment methods. With Allnet, we make it easy to pay your bill using a direct automatic deduction after you have had ample time to review your bill. Of course, you can continue to pay by check if you choose not to eliminate the paperwork. If you’re looking for a hassle-free way to pay off your carrier bills, then set up your mobile carrier bills with Allnet today.